The Simon Wiesenthal Center denounced Chinese reports equating the policies of Dalai Lama with those perpetrated by the Nazis. The Simon Wiesenthal Center denounced China’s official Xinhua News Agency and the China Tibet Online website for equating the policies of the Dalai Lama with those perpetrated by the Nazis against European Jewry. 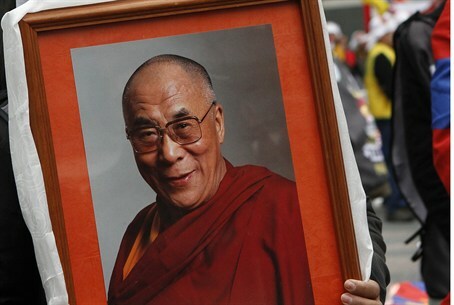 “As the Chinese government’s relationship with the Dalai Lama, the exiled Tibetan spiritual leader, has gone from bad to worse over the years, Beijing’s propaganda machine has churned out increasingly florid descriptions of him. He has been called a ‘jackal,’ a ‘wolf in sheep’s clothing’ and, routinely, a ‘splittist,’” the New York Times reported. The accusations come in repose to the Dalai Lama’s condemnations of policies that encouraged Han Chinese migration to Tibetan areas and others that favored Chinese-language instruction over Tibetan in predominately Tibetan schools. “It is shocking, outrageous and totally unacceptable that any Chinese official would permit the denigrating of the victims of the Nazi Holocaust as a tactic to slander a spiritual leader who has earned the world’s respect over the span of decades, precisely because he pursues his agenda through peace and dialogue. Indeed, the Dalai Lama stands for the values that the Nazis sought to destroy. We urge China Tibet Online and the Xinhua News Agency to apologize for this double slander,” the statement continued.